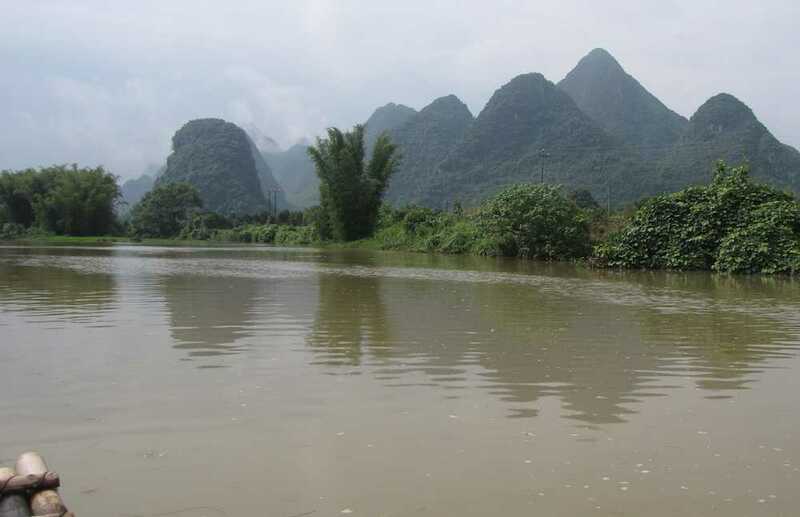 The scenery in Yangshuo (near Guilin), China was great. Floating down the river on bamboo rafts was wonderful. I floated down a second river the day after the first because I liked it so much. I was happy with, Amy, my guide for Yangshuo. Her son was the driver. I don’t usually use guides but for China I am glad I did (it is very difficult to get by compared to Cambodia, Indonesia, Malaysia, Thailand, etc.). Th costs were much more than those places without a guide but the charges were reasonable. If you can afford it, I recommend getting a guide and Amy was good.